When Aisling Conroy's boyfriend Jack is found in the freezing black waters of the river Corrib in Ireland, the police tell her it was suicide. She throws herself into work, trying to forget—but Jack's sister Maude reappears in Ireland after years abroad, determined to prove Jack was murdered. This unsettling small-town noir draws us deep into the dark heart of Ireland, where corruption, desperation, and crime run rife. 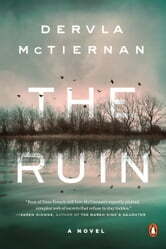 A gritty look at trust and betrayal where the written law isn't the only one, The Ruin asks who will protect you when the authorities can't—or won't. Well written-when is the next one! I thoroughly enjoyed this story. Well written, characters come together so well. An excellent mystery, looking forward to her next one! This is one of the best mysteries I have read. The storyline is compelling and believable. The characters are well drawn. The story is well paced. I do hope Ireland is doing a better job protecting neglected and abused children than this story portrays. I give this book a definite positive recommendation. 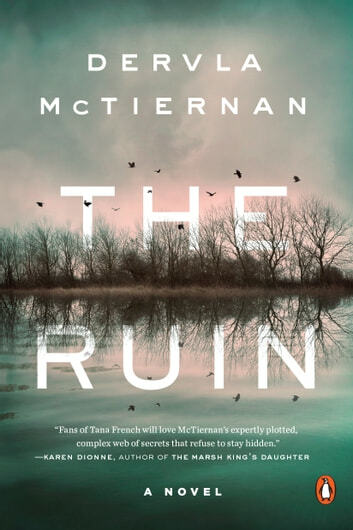 An excellent new Irish crime series! I really liked McTiernan's easy flow of words and her different narrators. I am looking forward to her next book in this series!